Today is the last Saturday of the 30 Day Challenge. It’s an odd feeling to be at my last weekend. I’m on autopilot on this point, and aside from the pain of preparing all the food, could probably go longer. The eating and training routine I’m doing is modeled after what The Rock did to prepare for his role in the movie Hercules, and he did this for 8 months. It was suggested by someone that I should try doing this for a whole year. While I’m confident I could go past 30 days, I can’t imagine doing this for 8 or 12 months. Not so much because it is tough, but because it’s a bit of a rut. 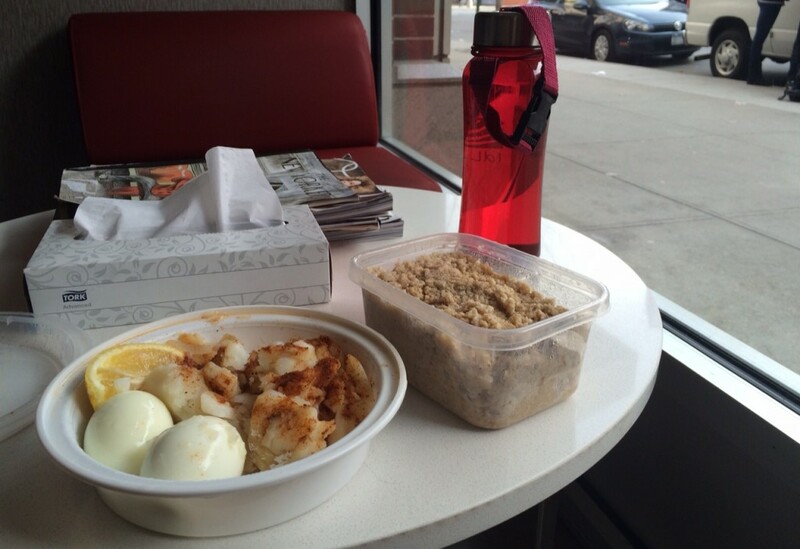 Saturday Breakfast: Cod, Eggs, and Oatmeal, all eaten at the gym. I started this challenge on February 1. It’s a leap year, giving the month 29 days. Twenty-nine days doesn’t have the same ring to it as 30 days, so I set this challenge for 30 days, which means my final day should be this Tuesday, March 1. It feels odd to end it mid-week. It also seems weird to stop the weekly workouts after two, and not finish the Arms, Back, and Shoulder workouts. So I’ve decided to extend the challenge slightly, to 33 days. My last day will be Friday, March 4. I will get my a full body’s worth of workouts in, and my first day off will be a Saturday. That seems more fitting. I’m not sure what to do with the blog over the long-term. Immediately following the challenge, there are a bunch of posts I want to write really dive into specific topics from the month. Every day I’m trying to keep the daily log going, which doesn’t leave me much time to write more detailed posts on certain subjects. So in the weeks following the challenge, there will be a post every few days covering the lessons I learned doing this, what I would do better next time, and what everyone should adopt from The Rock’s plans. In what was becoming a daily occurrence, I kept forgetting to turn on my Fitbit at the start of my workout. I remembered to start it before both phases today, but forgot to turn it off immediately following my weight training. My Fitbit has been with me every step of the way on this challenge, and yet it doesn’t really care. It has no idea what I’m doing. It doesn’t remind me to start it, or better, start it itself. It doesn’t tell me to enjoy rest day. It’s totally passive, and it’s sort of annoying. “Smart devices” can be pretty dumb. 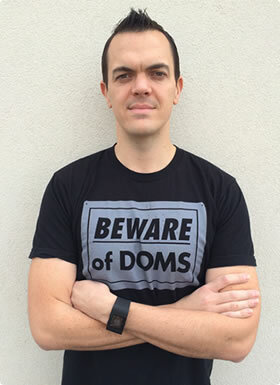 Day 28: Proper Rest Day, Little Sleep, and How Tall is The Rock Anyway?